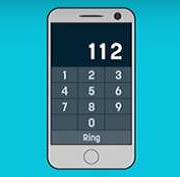 Linköping University's fire and emergency routine is designed to work throughout the year and around the clock. 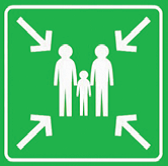 Therefore, both staff and students must know how to act in an emergency and how to help evacuate the building. This film describes what you should do if a fire starts at the University. Save those in immediate danger. 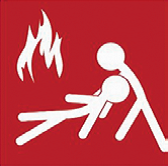 If there is a fire, put it out without risking your own safety. 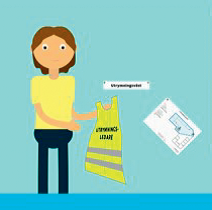 If you are close to an evacuation vest – put it on and lead the evacuation. Using this equipment anyone should be able to act as evacuation leader. Evacuate the building and go to the assembly point where you will get more information. Note that campus US does not have any announced assembly points. You should however always evacuate in case of alarm. Having a disability can make it hard to perceive a fire alarm or to evacuate a building. 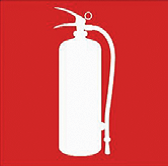 Contact Fire Safety Coordinator Annevi Fredäng to make sure that you know what to do in case of fire or evacuation.